Hey, if you don't look in the mirror and say " I look great! " then who else is? Love your self today by saying no to junk food and eat something that will make you pretty on the inside! Breakfast burritos are a classic of Southwestern American cuisine. 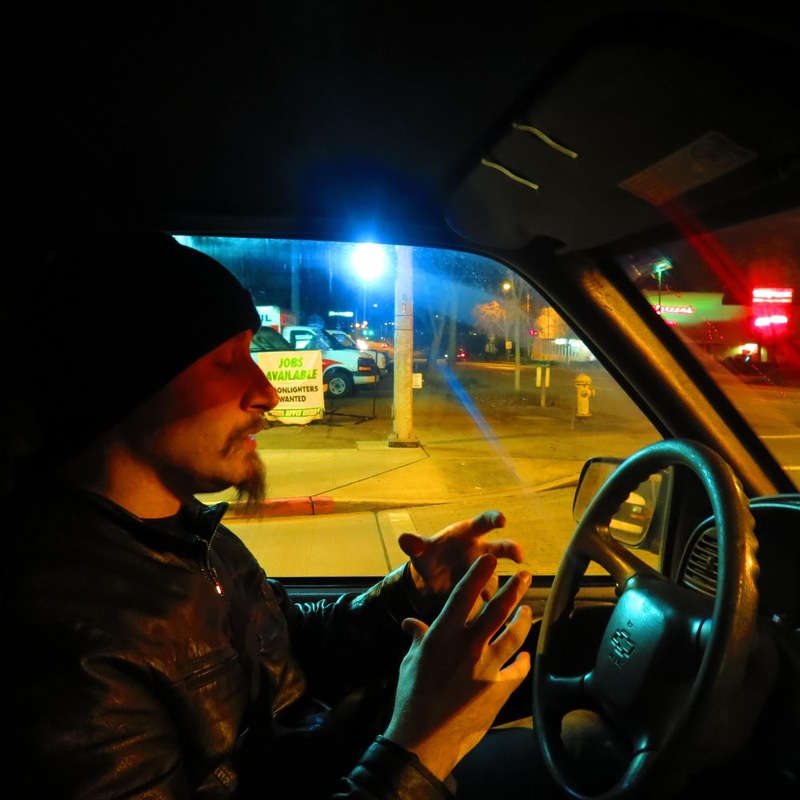 They were developed in New Mexico and quickly gained in popularity across the country. 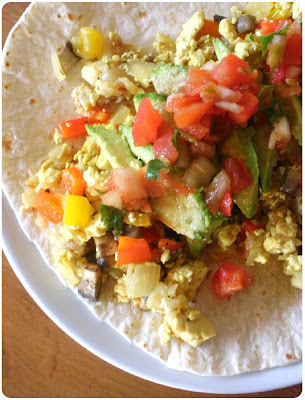 What's not to like about all of the delicious flavors of breakfast wrapped up together in one tortilla? 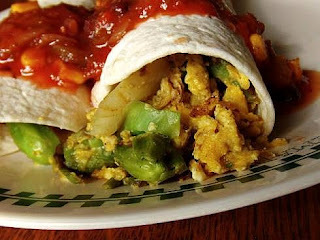 This is a delicious vegetarian twist on the traditional breakfast burrito, combining eggs, home-style potatoes, cheese, and several fresh toppings for a hearty, filling breakfast. 1. Wash the vegetables and peel the onion. Slice the onion into thin strips. Crush garlic cloves and dice. Leave the skins on the potato and dice it into 1/2 inch cubes. 2. Heat a skillet (preferably cast iron) over medium-high heat (medium for a gas range), with a good coating of olive oil. Combine the diced potato, sliced onion, and crushed garlic in the pan and stir frequently. Season with salt, black pepper, and crushed red pepper flakes to taste. 3. Meanwhile, beat the eggs and season lightly with salt and black pepper. Cut the bell peppers into long, thin strips. 4. The potatoes are done when they are soft in the center. Turn the heat down to medium. Pour the beaten eggs over the potatoes and stir rapidly, scrambling. They should start to thicken quickly. 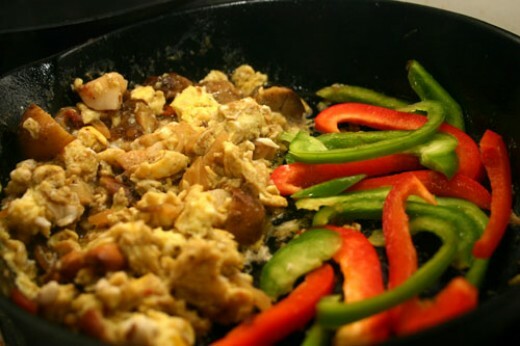 Push the potatoes and eggs over to one side of the pan (continuing to scramble), and add the green and red bell peppers to the other half, letting them cook lightly. 5. Warm the flour tortilla. 6. When the eggs are done, remove from heat. 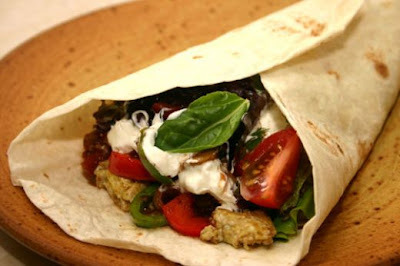 Scoop the potatoes and eggs into the flour tortilla, and lay the bell pepper strips over top. Sprinkle lightly with grated cheese. Top with salsa, sour cream, diced tomatoes, and loose leaf lettuce. 7. Wrap the flour tortilla around the contents, tucking in one end, and serve. Enjoy! Green onions are a nice addition to a breakfast burrito. If you'd like to get really fancy, try adding fresh herbs like basil, thyme, chives, and oregano to the scrambled eggs. Adding cream cheese to the eggs while they are cooking will make them very smooth and creamy. If you would rather have cooked greens than fresh ones, try adding a little baby spinach to the pan to be steamed just before the eggs are done.Also there is a great vegan chorizo sausage available at Trader Joe's. Garnish with parsley and of course cilantro! Be well my medium gorgeous friends! Here is some cooking music to get you feeling new, don't let that new good feeling go away! And don't forget boys and girls, life is like a well made burrito! More on this and the meanings and mysteries of life from Jonny Smokes next time on Mr. Vegan's Neighborhood!